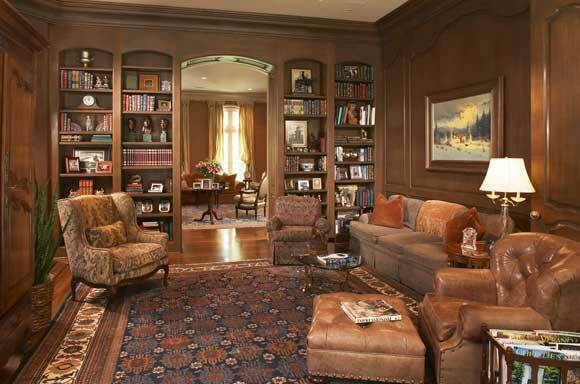 Rich wood paneling creates a warm and welcoming environment in the study of this traditional River Oaks home. Custom cabinetry is built into, rather than on, the walls. Custom lighting enhances the beauty of the wood.